If you are running a transgenic facility/service/unit and you have a WEB describing it, we invite you to consider submitting us your URL link to ISTT, for being included in the list of Transgenic Facilities found all over the world. Please, send us the link to your Transgenic Facility and we will be more than happy to include it into our recopilatory list. ISTT has 300 members !!! The number of ISTT Members is now 300. In less than three years of existence we have managed to found and bring this Society from 0 to 300 members. Congratulations to all of you. Thanks for your support and collaboration! The Society is very much alive and will keep growing. Author LluisPosted on November 13, 2008 Categories general, ISTT, ISTT MembersTags ISTT, ISTT MembersLeave a comment on ISTT has 300 members !!! 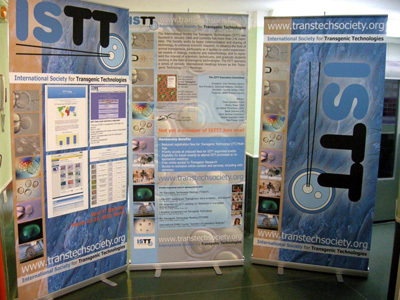 At the TT2008 meeting, in Toronto, the brand-new roller-up posters for the ISTT booths, to be used in meetings and conferences, promoted or co-sponsored by ISTT, were introduced. They increased our visibility, helped us promoting the Society and triggered the interest of many new members that decided to join and register. At the TT2008 meeting, Tom Fielder (Univ. California-Irvine, USA) presented the ISTT Survey on Production of Transgenic Mice Production. This is a survey of transgenic mouse core facilities, conducted by the International Society for Transgenic Technologies (ISTT), for the purpose of establishing performance standards. The first part of this survey will focus on DNA microinjection. Our goal is to obtain data from at least 100 different facilities world-wide. The more facilities that participate, the more reliable the results will be. All facilities will benefit from having officially recognized standards for such measures as embryo and pup yields, rates of transgenesis, etc., as well as the expected variability in such measures. Established facilities will be able to refer to independent standards in dealing with dissatisfied clients, and new facilities will be able to aim for an achievable goal. We may even be able to discover an optimum combination of factors that will allow every facility to improve. Please, visit the WEB site of the ISTT Survey on Production of Transgenic Mice for additional information and for contributing your microinjection data. Thanks for your collaboration!. 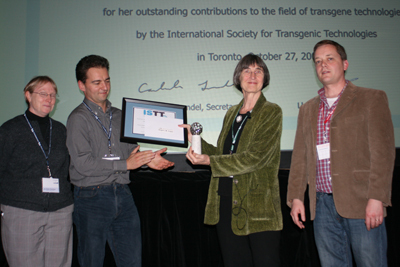 Prof. Brigid Hogan, from the Duke University (Durham, NC, USA) was awarded the 6th ISTT Prize for Transgene Technology, sponsored by genOway, and Honorary Membership in the ISTT, for her outstanding contributions to the field of transgenic technologies. 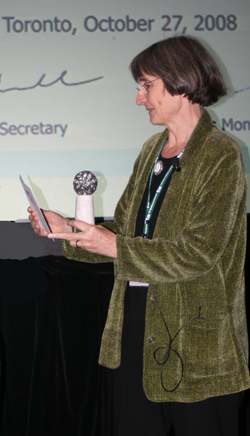 Prof. Brigid Hogan has been a prominent part of the transgenic research field for decades. Not only is her contribution to the mouse embriology and genetics field outstanding, but she has also always been eager to share her deep knowledge with others. She pioneered work on establishing protocols for ES cell, EC cell, and mouse embryo culture, and she took part as an instructor in the first Cold Spring Harbor practical course on “Molecular Embryology of the Mouse“, held in 1984. 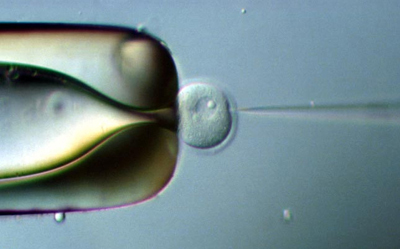 These annual courses led to the publication of “Manipulating the Mouse Embryo” in 1986, edited by Brigid Hogan, Frank Constantini and Elzabeth Lacy. Brigig Hogan also participated in the second edition of the book, edited ten years later, in 1994, in collaboration with Frank Constantini, Elzabeth Lacy and Rosa Beddington. This book that has now printed in a third edition, by Andras Nagy, Marina Gertsenstein, Kristina Vintersten and Richard Behringer (2003) and is still being used as a a reference manual all over the world. Through this ISTT Prize, we want to show our appreciation to Prof. Brigid Hogan for extraordinary contribution to the field of molecular genetics and mouse development, and her most generous willingness to disseminate her knowledge to the scientific community. 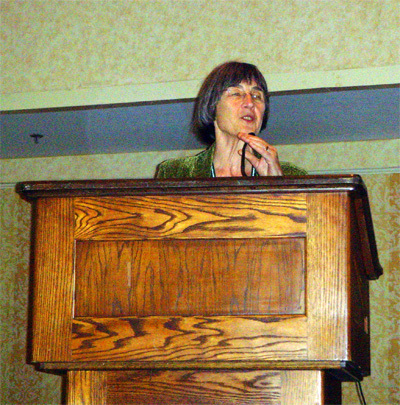 At the TT2008 meeting, in Toronto, Prof. Brigid Hogan delivered a lecture on “Lung development and repair: insights from transgenic mice”, addressing her main scientific interest, as indicated in her Laboratory WEB site: “Research in the Hogan lab is focused on the basic mechanisms underlying organogenesis and tissue repair, and how these two processes involve stem cells“. 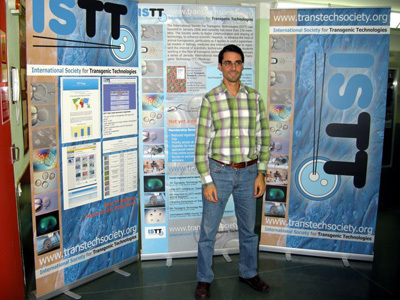 The next Transgenic Technology meeting (9th), TT2010, will be held in Berlin (Germany), on March 22-24, 2010, organised by Boris Jerchow, from the Max-Delbrück-Centrum. After visiting Australia (TT2007, Brisbane, February 2007) and North America (TT2008, Toronto, October 2008), the established TT meetings, organised on behalf of the International Society for Transgenic Technologies, will come back to the hearth of Europe, in Berlin (Germany), in March 2010, where the history of these classical conferences began, with a series of meetings organised by Johannes Wilbertz (KI) and his colleagues in Sweden (Stockholm: 1999, 2000, 2001; Uppsala: 2004) and Germany (Munich: 2002) and by the first TT meeting held outside the KI, organised in Spain (Barcelona: 2005), by Lluis Montoliu. If you are interested in this meeting, please visit periodically the TT2010 meeting website for most updated announcements. 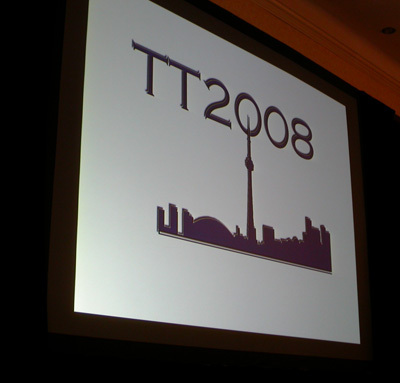 The TT2008 meeting, the 8th Transgenic Technology conference, organised on behalf of the ISTT, was held in Toronto (Ontario, Canada) October 27-29, 2008 with a great success. More than 400 delegates from all over the world gathered and lively discussed the latest technologies and scientific developments on animal transgenesis. Kristina Vintersten, Marina Gertsenstein, Andras Nagy and the rest of organising team have to be commended for the extraordinary work done.